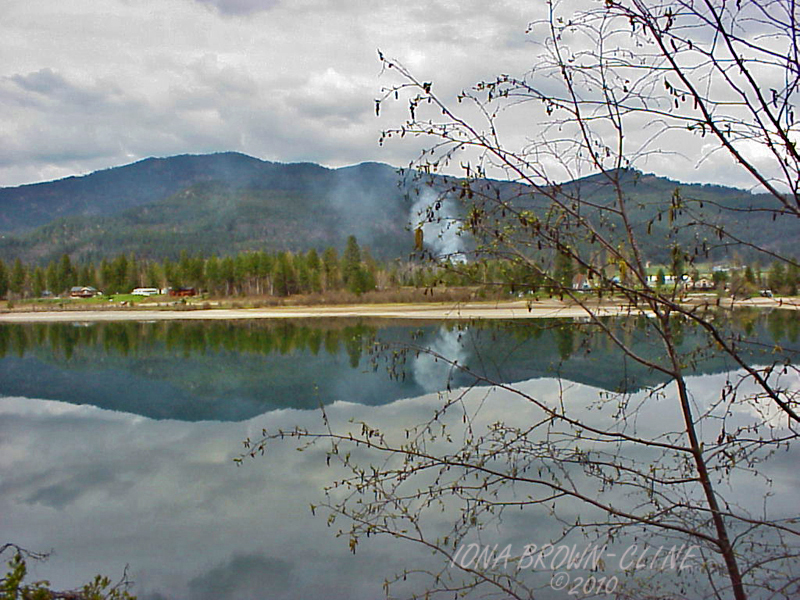 Working from the original .tif file, here is another revisit to the Pend O’Reille. You may note the tree which is just beginning to leaf is the same tree that was in the previous photo. A slight shift to the right gave me an overlapping but different view. (No. Can’t do a pano. Not taken at the same distance.) I titled this shot: Pend O’Reille Spring. Again, taken in April 2002. I played around with Shadows/Highlights and Levels in Lighting. Then boosted the saturation in Color Master just a tad. Below is a copy of the original .tif file. You really need to enlarge to appreciate either photo. Thought perhaps you would like this. An Oldie from my files. 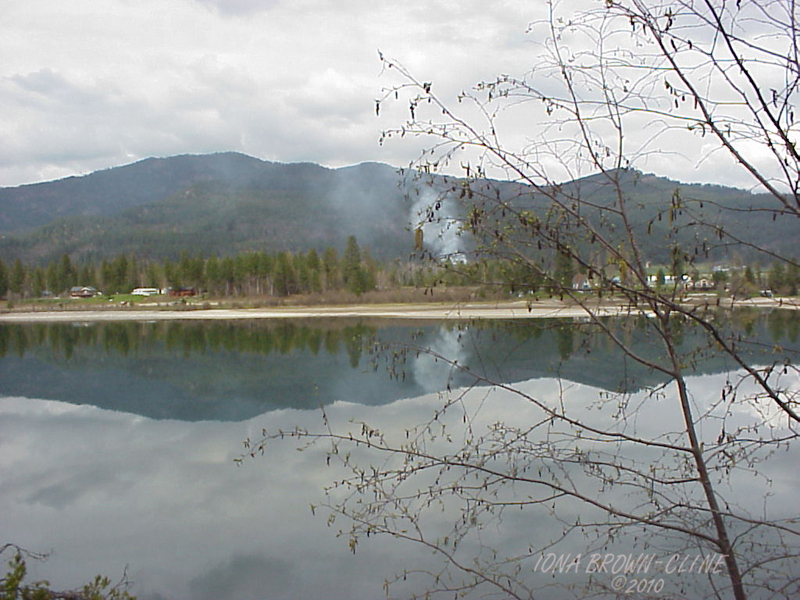 Photo taken Along the Pend O’Reille River in North Idaho somewhere between Sandpoint and the town of Priest River in April 2000 when we lived in the area. Taken with a Sony Mavica FD digital (floppy disk for “film”) This area just begged to have photos taken. 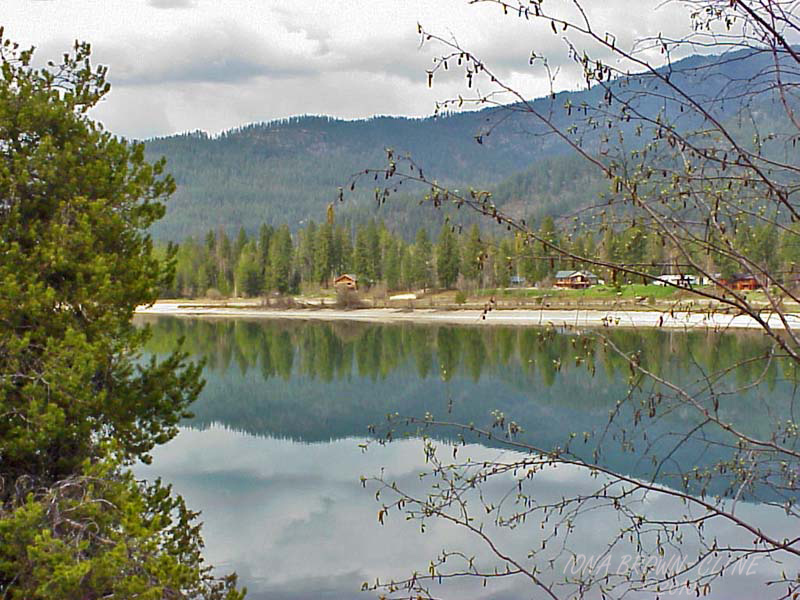 Who could pass up a photo op with this clear blue water reflecting like a mirror and all the ubiquitous evergreens favorable lending themselves for photo framing? This Sony FD camera, new in the age of digitals, took amazing shots. (Edit: Have not yet found where font color can be changed, otherwise, this would be written in red.